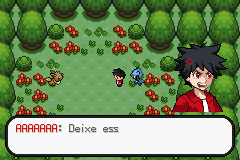 Just wanted to report a bug with the wild double battles - If you run away (or lose, according to this thread), the next wild battle will be a quasi-trainer battle where the pokeball bar will slide in and another pokemon will be 'sent out' after removing the initial wild pokemon. Hey guy, sorry for bothering, but have you ever thought about expanding your 80x80 mugshot routine with a rotating function? 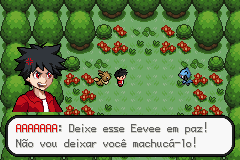 Having the mugshot over the Eevee is ugly as hell. And having it in the right side of screen is also annoying. In theory, this can be easily fixed just inserting another mugshot sprite in the rom for the other side. But when you have lots of characthers with differents reactions (ex:https://imgur.com/a/yW9hM) , this can turn a little incovenient depending on your space situation. I can think several scenarios in wich a rotation freature would be usefull for a lot of hacks, I don't know if this hard to do, but if tilemaps for backgrounds can have this, I thought it wouldn't be so impossible for you. Again, sorry for the inconvenience, also if I can do anything for help you in exchange, this will be great, I'm not that good in rom hacking, but I think at least I can give you sprites or any pixel art you want. Hey Jiang, what's up? 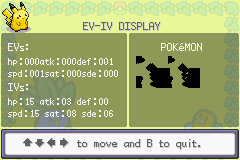 I'm having a little and weird problem when trying to compile your EV-IV Screen. 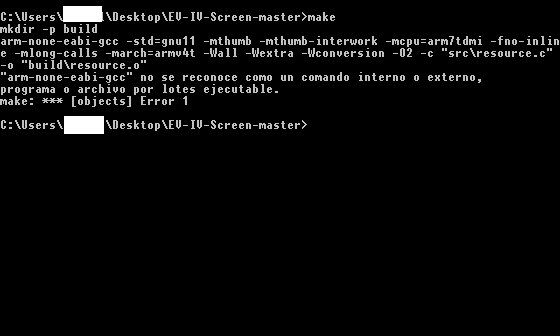 Note: The translation of that line in Spanish to English is: ""arm-none-eabi-gcc" is not recognized as an internal or external command, operable program or batch file". Do you know how can I fix it, by any chance? Maybe I need to install devkitPro too? 3) Shift+Right Click - Open a Command Window Prompt Here, "make" and Enter. It was working perfectly fine some months ago, but now this is happening and I really don't have a clue about how to fix it. 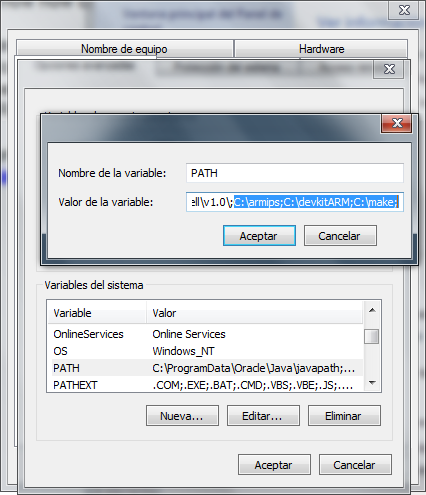 Just in case, I already have armips, devkitARM r45 and armips v0.9 added to my PATH Variable, as you can see right here. I've also tried using devkitARM r47 instead but it gives me the exact same error. Also, just in case, the only files I have in C:\make are: "libiconv2.dll", "libintl3.dll" and "make.exe". Ok, checare para ver si no están cambiados los offset, aunque lo dudo ya que lo probé con una rom limpia y use el que usted me mando ahce mucho tiempo, no se si lo recuerda jaja xD. Ok, check to see if the offset are not changed, although I doubt it since I tried it with a clean rom and use the one you sent me ahce a long time, I do not know if I remember it haha xD. 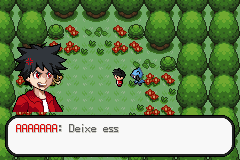 I would like to make a custom menu by pressing L/R on firered. But for now i don't kow how to load the graphics, and moreover about what to do so that the game go back to it's normal stat when the menu is closed. I haven't started yet, for now i'm just gathering informations about the way to do it. I found your ev-iv screen so i'm going to dig into it to figure out how it works. I was hopping that maybe you could redirect me to some documentation about the subjet. I was testing the function u created (in this post https://www.pokecommunity.com/showpost.php?p=8953349&postcount=756) and I'm having some troubles. No matter what value I put in var 0x8000, it only displays 1 option. How I can fix it? sorry for incovenient but you can convert you EV and IV display screen for Emerald ?